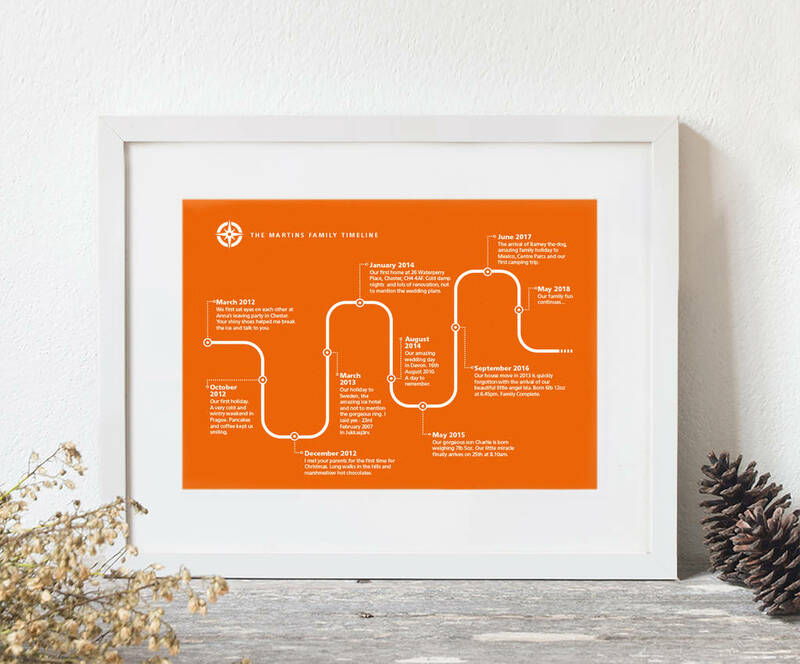 print size print size (required)8” x 10”: 20cm x 25.4cmA4: 21cm x 29.7cmA3: 29.7cm x 42cm (+ £10)A2: 42cm x 54.9cm (+ £14)A1: 59.4cm x 84.1cmPlease contact us if you require a different size. print size (required)8” x 10”: 20cm x 25.4cmA4: 21cm x 29.7cmA3: 29.7cm x 42cm (+ $18.16)A2: 42cm x 54.9cm (+ $25.42)A1: 59.4cm x 84.1cmPlease contact us if you require a different size. print size (required)8” x 10”: 20cm x 25.4cmA4: 21cm x 29.7cmA3: 29.7cm x 42cm (+ €11.79)A2: 42cm x 54.9cm (+ €16.51)A1: 59.4cm x 84.1cmPlease contact us if you require a different size. print size (required)8” x 10”: 20cm x 25.4cmA4: 21cm x 29.7cmA3: 29.7cm x 42cm (+ $14.50)A2: 42cm x 54.9cm (+ $20.29)A1: 59.4cm x 84.1cmPlease contact us if you require a different size. 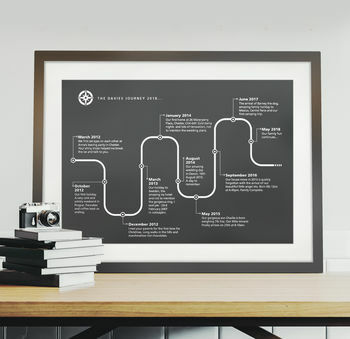 A stylish typographic print showcasing your special moments. 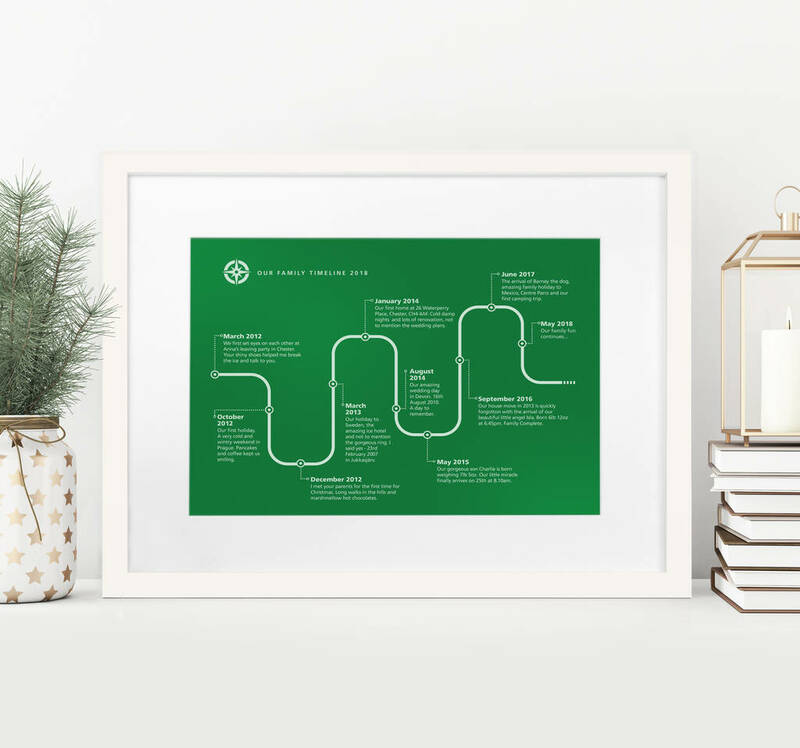 Inspired by the iconic tube map; we’ve created a unique and eye catching design to illustrate 10 of your memories and corresponding dates. 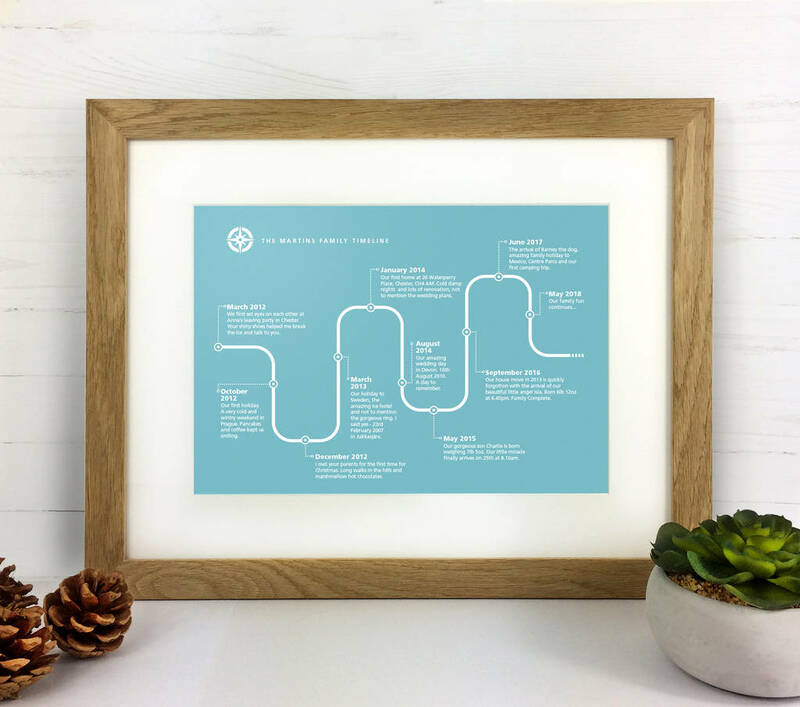 Available with the option of being professionally framed, this product creates a special feature for any room of the home as well as making a superb gift. 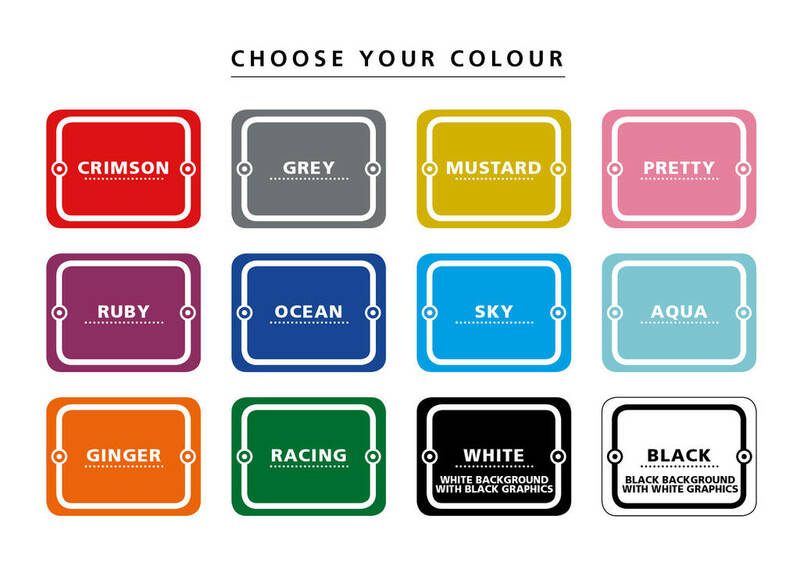 Choose from 12 striking colour combinations. Available in A4, A3, A2 and A1 size. Each print is made to order in our little studio based in Oxfordshire using non-fade Epson pigment ink on professional 200gsm lustre paper. A4 size prints are sent flat in cardboard backed envelopes. 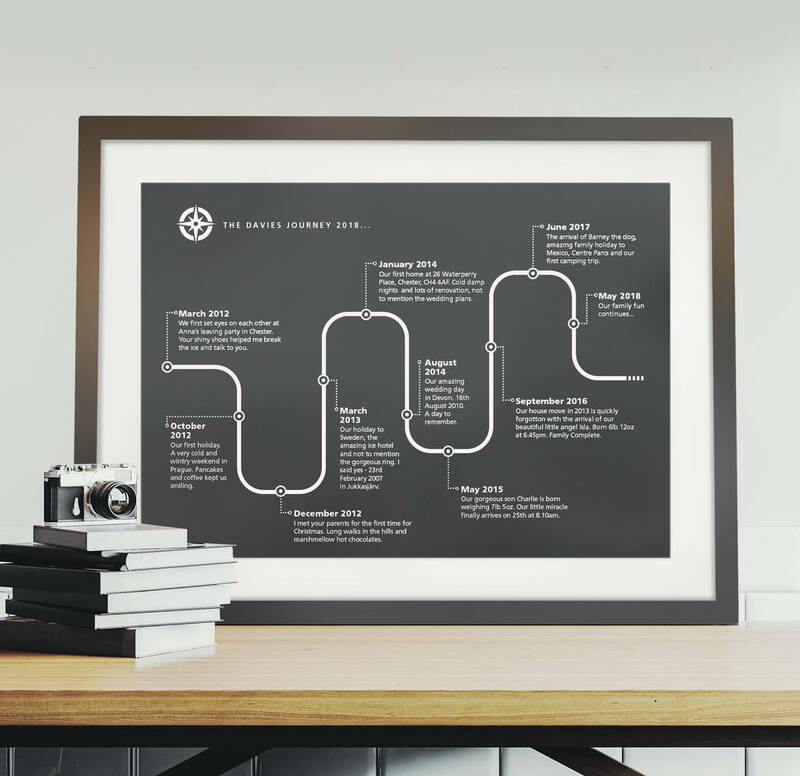 A3, A2 and A1 prints are carefully rolled into postal tubes. 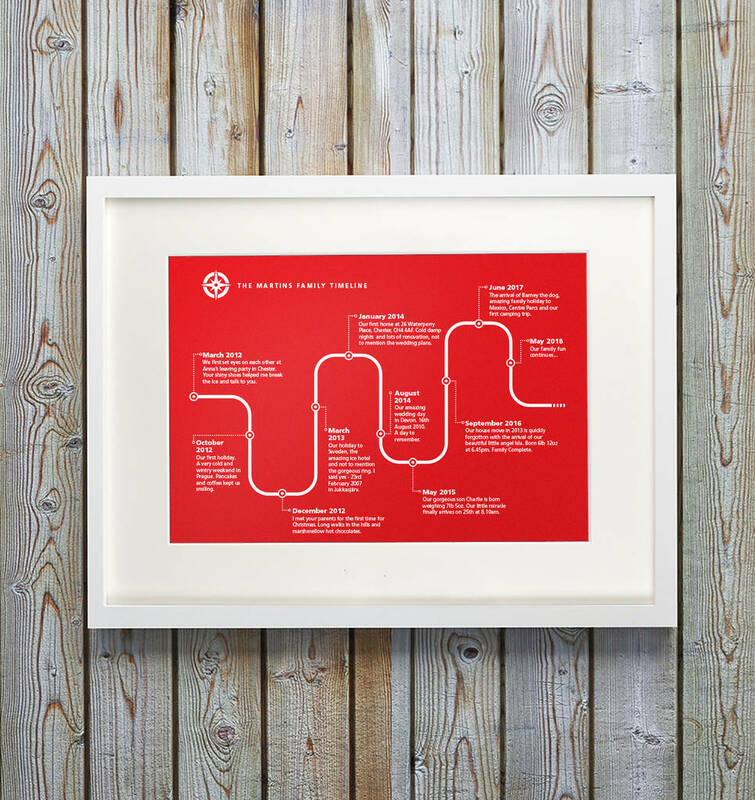 Our prints give you the option of being professionally framed. 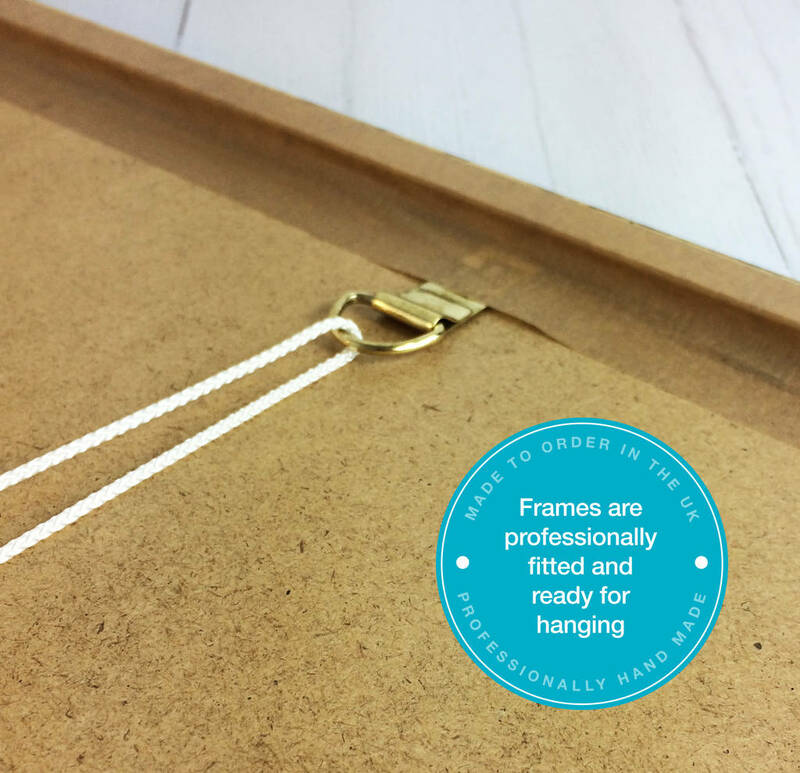 Our frames are hand made and made to order by an established framer in Hertfordshire. Our hand made 2.3 cm wide frames are made to order in the UK by qualified frame makers using quality pine wood. This product is dispatched to you by Over & Over.